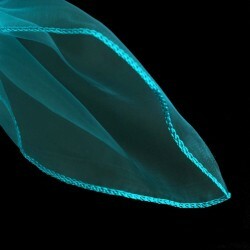 Sparkle Organza There are 8 products. 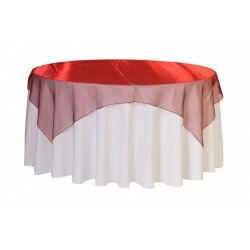 Our organza table runners are the perfect accent for your table. 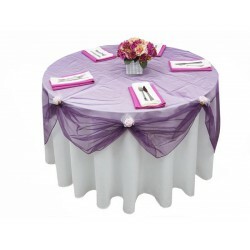 Whatever your theme is, we're sure to have a color that will match it nicely. 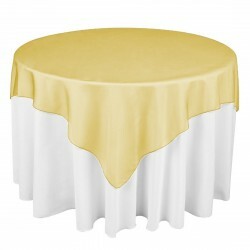 Put our table runners on top of our tablecovers for an look that is uniquely your own. 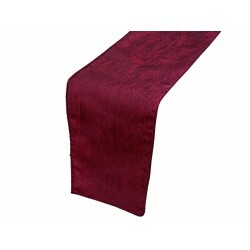 Please choose your desired color and confirm your rental period. 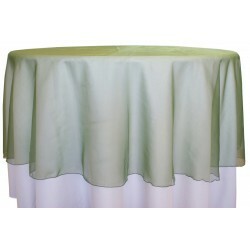 Square Tablecloth 54" x 54"
Our Sparkle Organza collection has always been the preferred reception table accent for wedding planners, event coordinators and fine dining professionals. 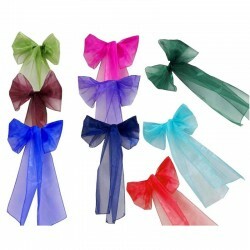 With over 20 different colors to choose from, it is the perfect pick for weddings, birthdays, graduations, and more. 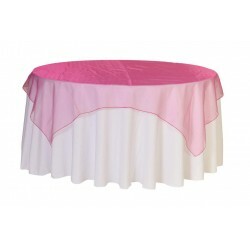 Square Tablecloth 90" x 90"